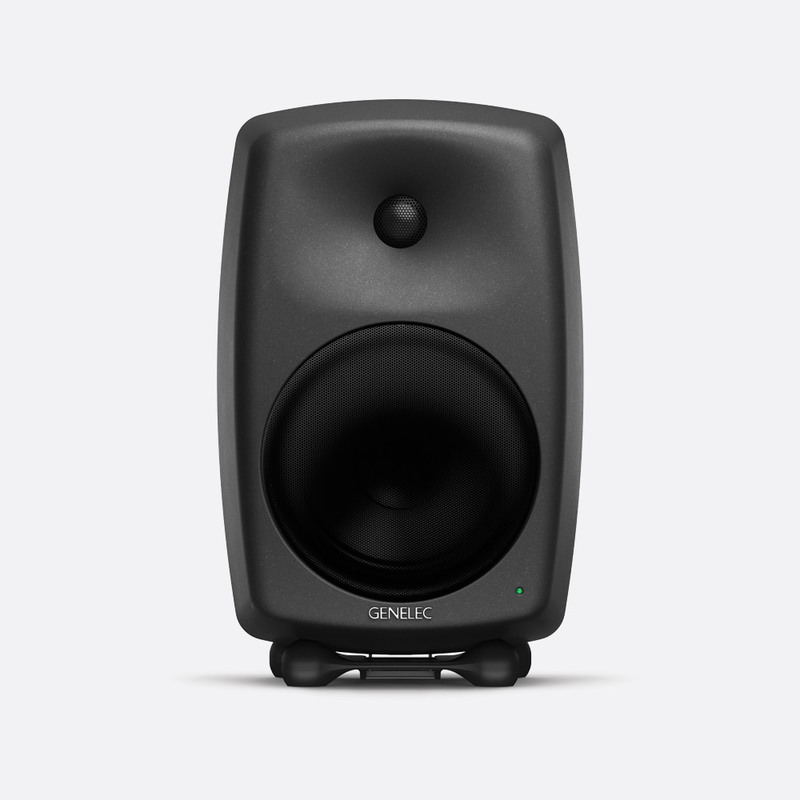 The 8000 Series monitors, are two-way designs, each housed in Genelec's 'Minimum Diffraction Enclosure', an advanced, die-cast aluminium design, 'built for performance'. The 'sturdy, vibration-free' structure ensures diffraction-free sound reproduction even at highest output levels'. Other features include dedicated amplifiers for each driver, manual room-response control to help compensate for acoustic influences, and on-board overload protection. A two-way bi-amplified active monitor designed and manufactured for professional applications such as near-field monitoring, portable recording, and OB vans, but equally suited to surround sound and multimedia systems. Both the 76mm bass driver and the 19mm, metal-domed, high-frequency driver have their own 25 watt amplifier to provide a long term RMS output of over 91dB SPL and a maximum peak output greater than 105dB. 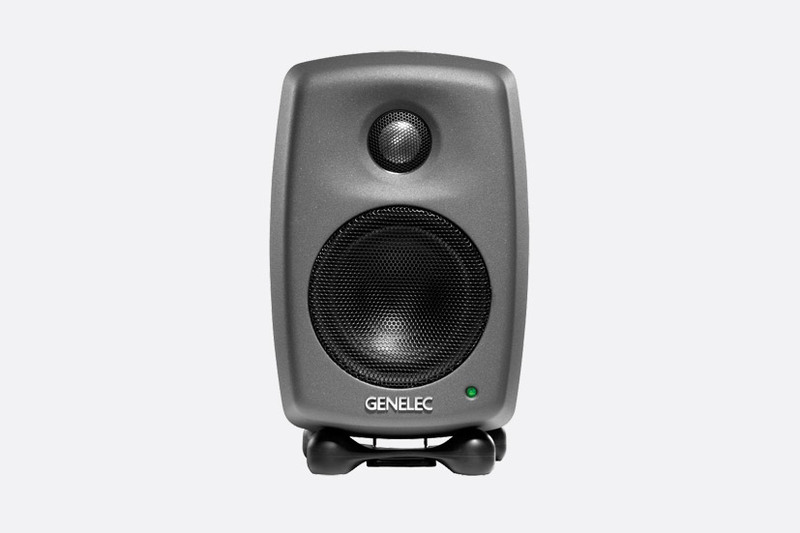 A switch on the back panel enables Genelec's 'Intelligent Signal Sensing' circuitry which switches the monitor to standby mode to save energy when no audio input is detected. Tone controls offer the user flexibility of frequency output with a three step 'Bass Tilt' control to reduce low frequency response by -2dB, -4dB, or -6dB. 'Desktop' settings reduce low frequencies by 4dB at 200Hz, to compensate for the boost occurred when positioned on a table or similar surface. The front panel has a power indicator LED, on the rear there is an IEC power inlet and AC mains power switch. Accessories available are a floor stand (speaker vertical or horizontal using IsoPod), stand plate (necessary for use with floor stand) and soft carrying bag for two 8010A speakers. A bi-amplified, class D, two-way speaker suitable for a variety of applications where high-quality sound is needed in a compact space, from near-field and project studio monitoring to surround-sound, high-end installations and multimedia systems. It has magnetic shielding, an aluminium cabinet, active crossover and 2 x 50W amplifiers. 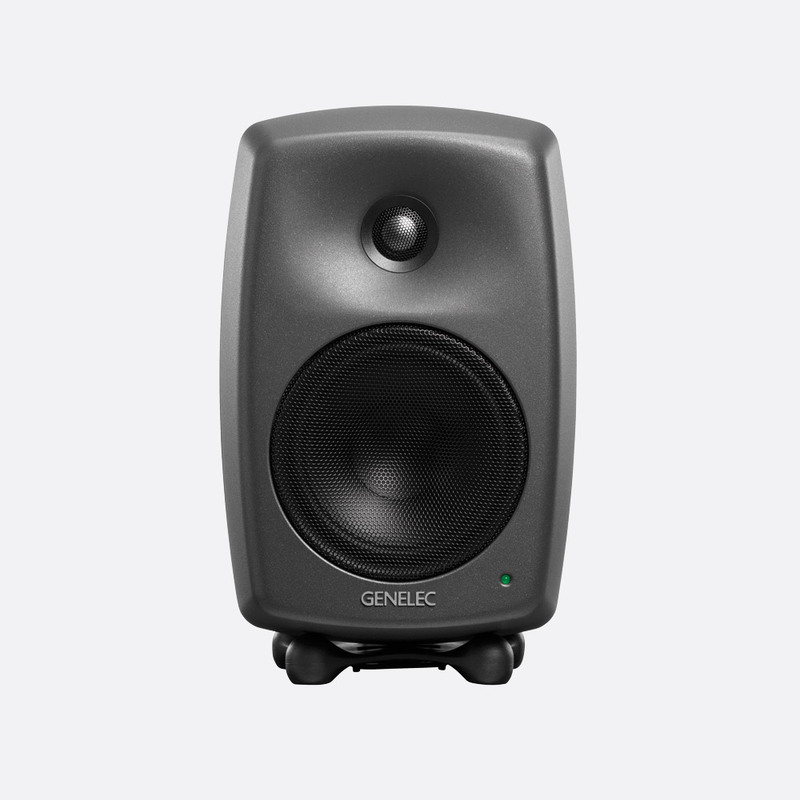 Genelec's 'Intelligent Signal Sensing' circuitry switches the monitor to standby when no audio input is detected. The amplifier section has switches for treble tilt, bass roll-off and bass tilt and has a female XLR input. It can also be used as a pair in conjunction with a subwoofer (7050B recommended) as a 2.1 stereo format system or as a 5.1 surround system, including up to 5 x 8020C units in total. The front-panel mains indicator LED is neatly styled, with rear IEC power inlet, AC mains power switch, and volume control. The speaker has three methods of mounting: 3 mounting points on the back of the monitor for attaching the supplied IsoPod desktop stand, which allows vertical and horizontal positioning and can be fixed to the optional floor stand using the optional stand plate, threaded holes on the back for the supplied keyhole wall-mount adapter and a three eighths inch thread on the base for microphone-stand mounting. Accessories available are a floor stand (speaker vertical or horizontal using IsoPod), stand plate (necessary for use with floor stand) and soft carrying bag for one pair of 8020C's. 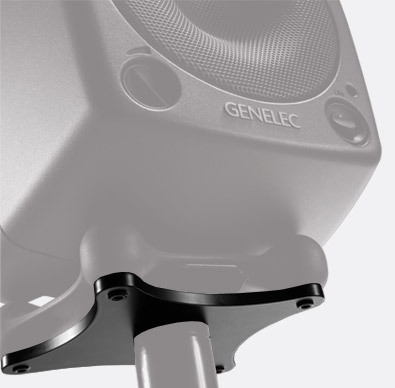 A two-way speaker suitable for a variety of applications where high-quality sound is needed in a compact space, from near-field and project studio monitoring to surround-sound, high-end installations and multimedia systems. It has magnetic shielding, an aluminium cabinet, active crossover and 2 x 50W amplifiers. 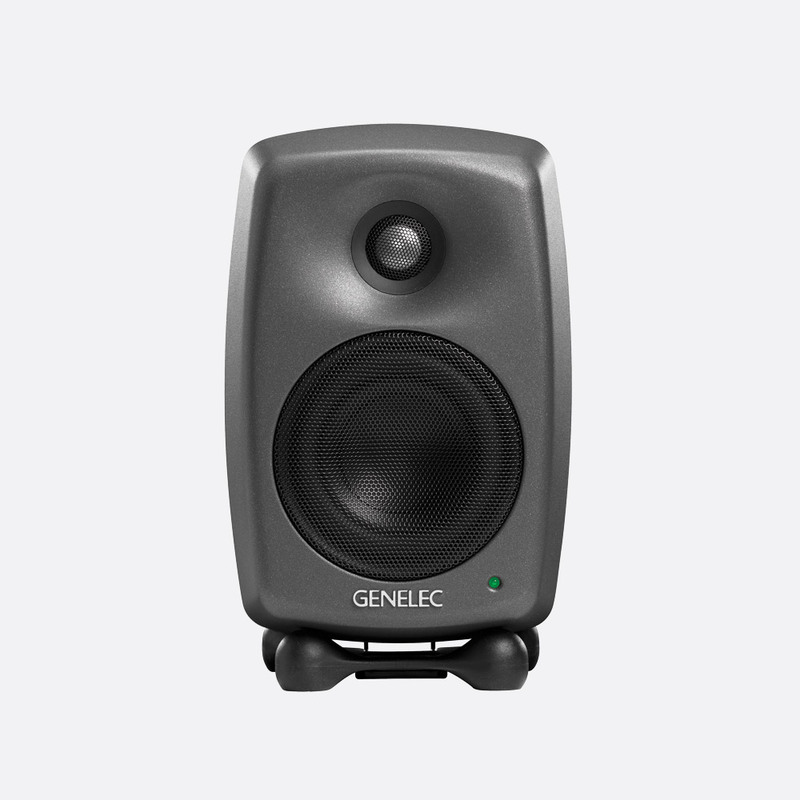 Genelec's 'Intelligent Signal Sensing' circuitry switches the monitor to standby when no audio input is detected. The amplifier section has switches for treble tilt, bass roll-off, bass tilt and ‘Desktop 160Hz’, and has a female XLR input. It can also be used as a pair in conjunction with a subwoofer (7050B recommended) as a 2.1 stereo format system or as a 5.1 surround system, including up to 5 x 8030B units in total. The rear-panel also houses the AC mains power switch, IEX power inlet, and volume control, whilst a front panel green LED illuminates when powered on. The speaker has three methods of mounting: 3 mounting points on the back of the monitor for attaching the supplied IsoPod desktop stand, which allows vertical and horizontal positioning and can be fixed to the optional floor stand using the optional stand plate, threaded holes on the back for wall or ceiling brackets and a three eighths inch thread for microphone-stand mounting. Accessories available are a floor stand (speaker vertical or horizontal using IsoPod), stand plate (necessary for use with floor stand) and soft carrying bag for one pair of 8030B's. A bi-amplified two-way system for main and surround monitoring in small control rooms, OB vehicles and mastering suites. The hard-wearing, aluminium cabinet houses an active crossover, 2 x 90W amplifiers with overload protection, a metal-dome HF driver and polymer bass-driver, both magnetically shielded, and front-panel mains indicator LED. 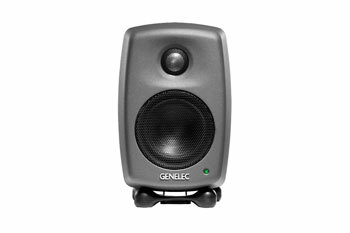 Genelec's 'Intelligent Signal Sensing' circuitry switches the monitor to standby when no audio input is detected. The crossover includes adjustable sensitivity and calibrated 'tilt' switches for bass and treble adjustment. Female XLR balanced input and IEC AC mains power inlet. The speaker has three methods of mounting: 3 mounting points on the back of the monitor for attaching the supplied IsoPod desktop stand, which allows vertical and horizontal positioning and can be fixed to the optional floor stand using the optional stand plate, threaded holes on the back for wall and ceiling mount brackets and a M10 x 10mm thread for securing the unit to the base. Accessories available are a floor stand (speaker vertical or horizontal using IsoPod), stand plate (necessary for use with floor stand) and soft carrying bag for one pair of 8040B's. A bi-amplified two-way system for main and surround monitoring in medium-sized control rooms and mastering suites. The hard-wearing, aluminium cabinet houses an active crossover, two amplifiers with overload and thermal protection, a metal-dome HF driver and polymer bass-driver, both magnetically shielded, and front-panel mains indicator LED. 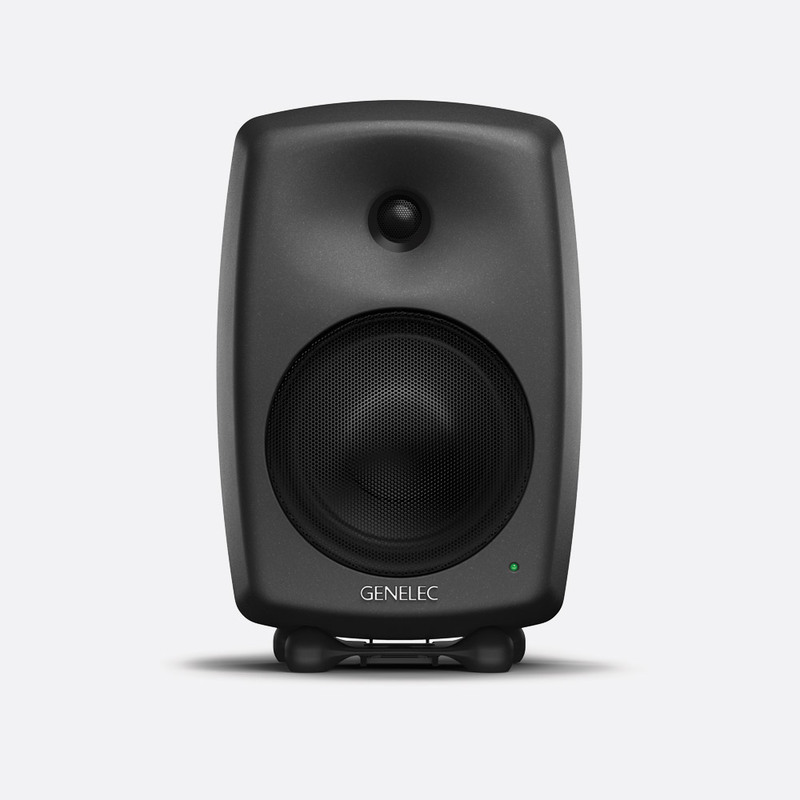 Genelec's 'Intelligent Signal Sensing' circuitry switches the monitor to standby when no audio input is detected. The crossover includes adjustable sensitivity and calibrated 'tilt' switches for bass and treble adjustment. Female XLR balanced input and IEC AC mains power input. The speaker has three methods of mounting: 3 mounting points on the back of the monitor for attaching the supplied IsoPod desktop stand, which allows vertical and horizontal positioning and can be fixed to the optional floor stand using the optional stand plate, threaded holes on the back for wall and ceiling mount brackets and a M10 x 10mm thread for securing the unit to the base. 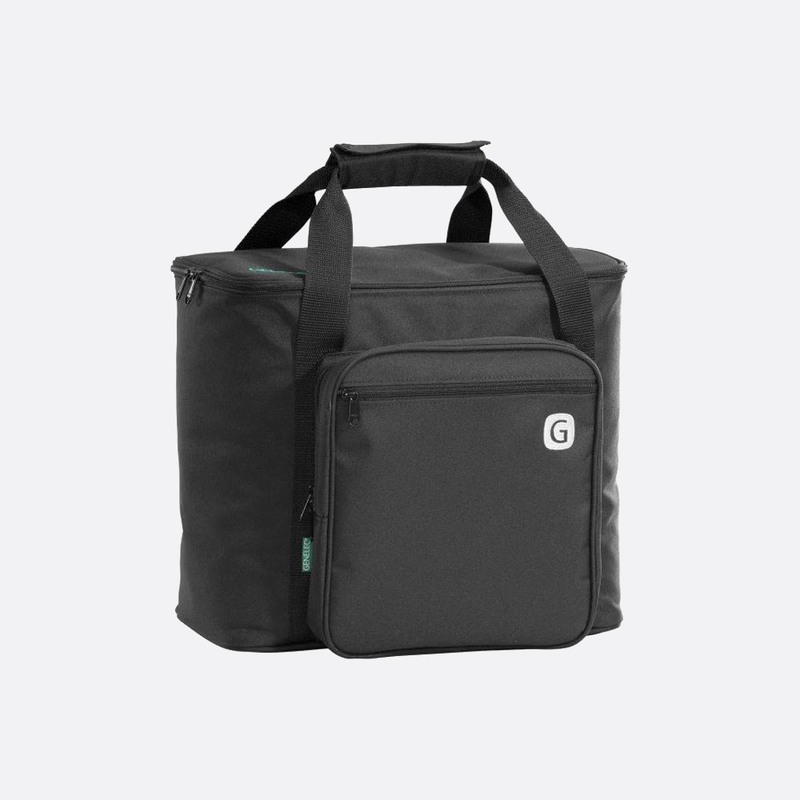 Accessories available are a floor stand (speaker vertical or horizontal using IsoPod), stand plate (necessary for use with floor stand) and soft carrying bag for one 8050B.